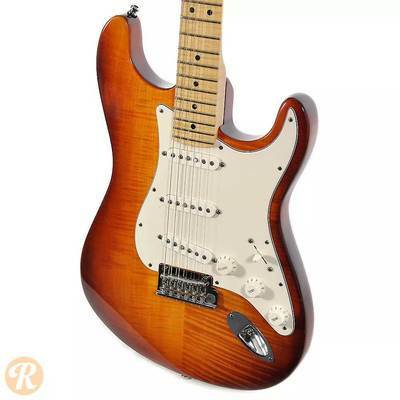 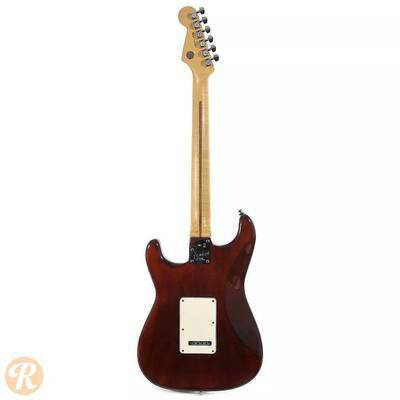 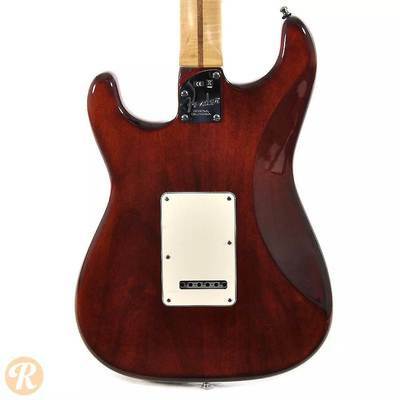 The Fender Select Stratocaster is the sonic embodiment of tone-machine elegance, featuring a stunning Dark Cherry Burst gloss-lacquer finish on a sleek flame maple-top body. 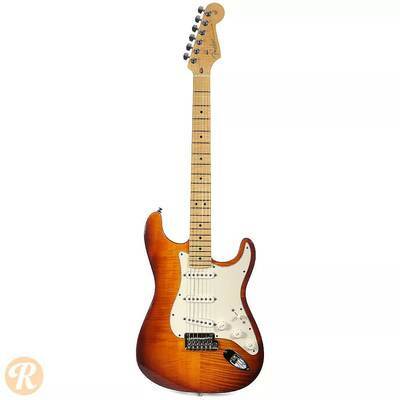 Its modern “C” shaped flame maple neck has a comfortable contoured heel, Bi-Flex truss rod system for rock-solid stability, a satin lacquer back finish and rear-headstock “Fender Select” medallion. 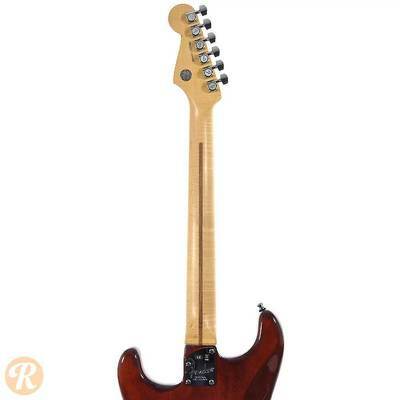 The smooth-playing compound radius flame maple fretboard (9.5”-14”) has 22 medium jumbo frets, stylish black pearloid position inlays and gloss lacquer finish. 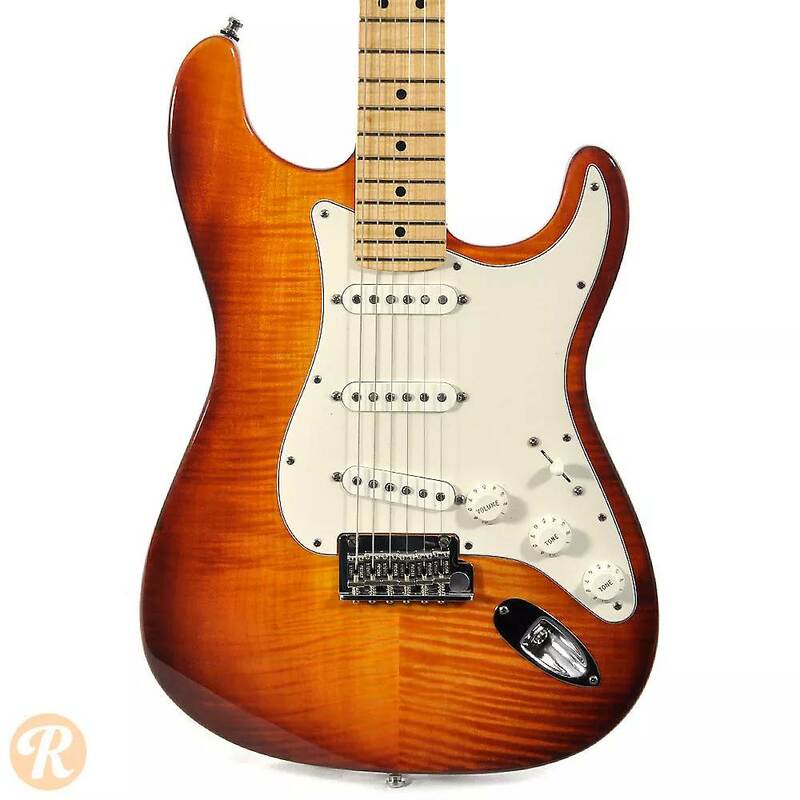 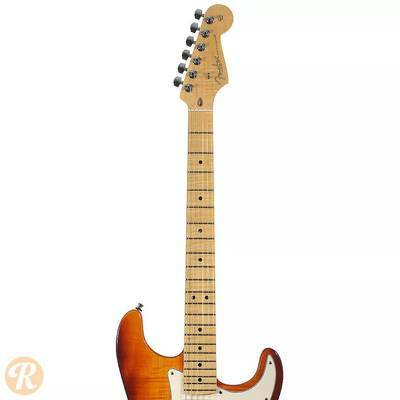 Pure and singing signature sound comes from new Fender Select Stratocaster single-coil neck, middle and bridge pickups with five-way switching and a no-load tone control that delivers the natural uncolored sound of the bridge pickup when dimed.